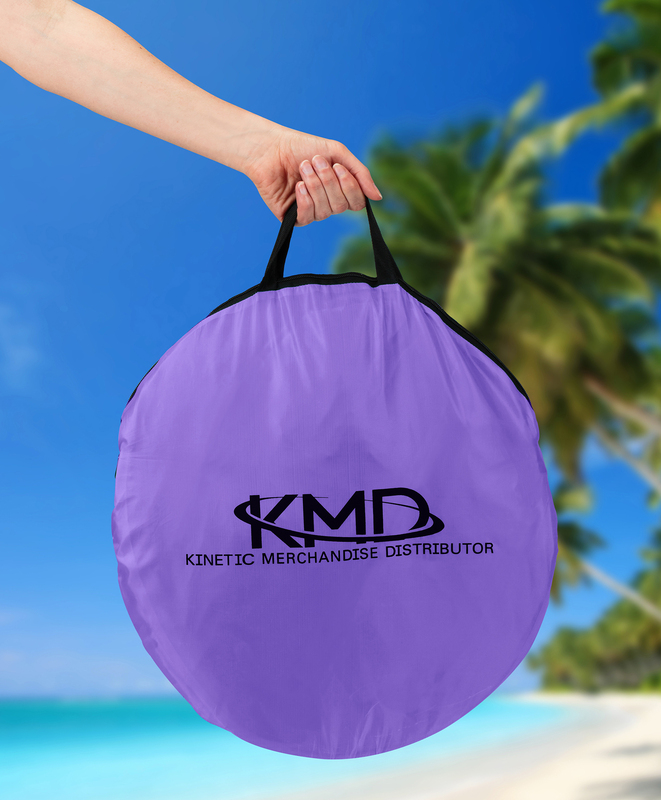 STAY COOL AT THE BEACH – Enjoy the sand and sun while staying cool and sheltered with this easy-to-use beach tent by KMD Sport. It’s perfect for using on day trips, in the backyard, at the park, or on vacation in tropical beach locations! POP-UP DESIGN MEANS QUICK & EASY SET UP – The innovative design of this beach tent means setup takes just seconds – the tent structure literally pops up and down to create your shelter almost instantly. 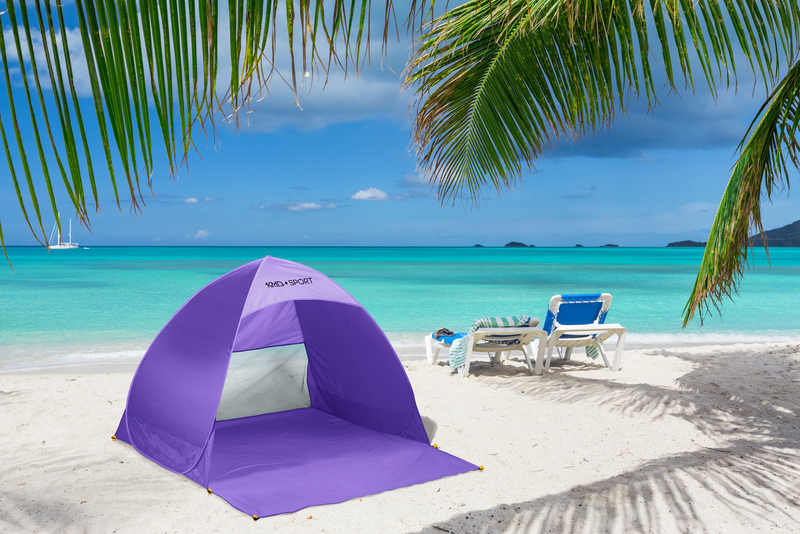 RELIABLE UV PROTECTION FROM THE SUN – Featuring special silver-coated material, this beach cabana offers all-day protection from the sun’s UV rays. Whether it’s a hint of sunlight in spring or a sweltering summer day, you’ll be safe and protected at all times. STURDY, LIGHTWEIGHT & PORTABLE – Made from double type B dense interwoven mesh, this tent’s structure is optimized to be lightweight while maintaining a strong and reliable shelter. Your cabana also includes a convenient carry bag, making it easy to take with you anywhere. 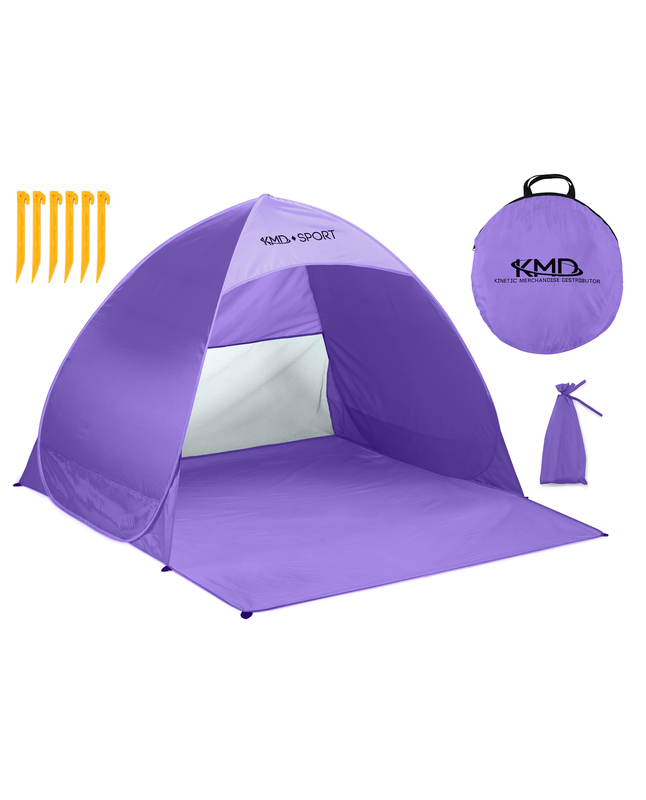 AVAILABLE IN 3 VIBRANT COLORS – Perfect for boys, girls, kids, adults and families alike, the KMD Sport beach cabanas are available in 3 bright, fun colors: Blue, Pink and Purple. The innovative pop-up design of this beach tent means it takes just seconds to set up and take down. 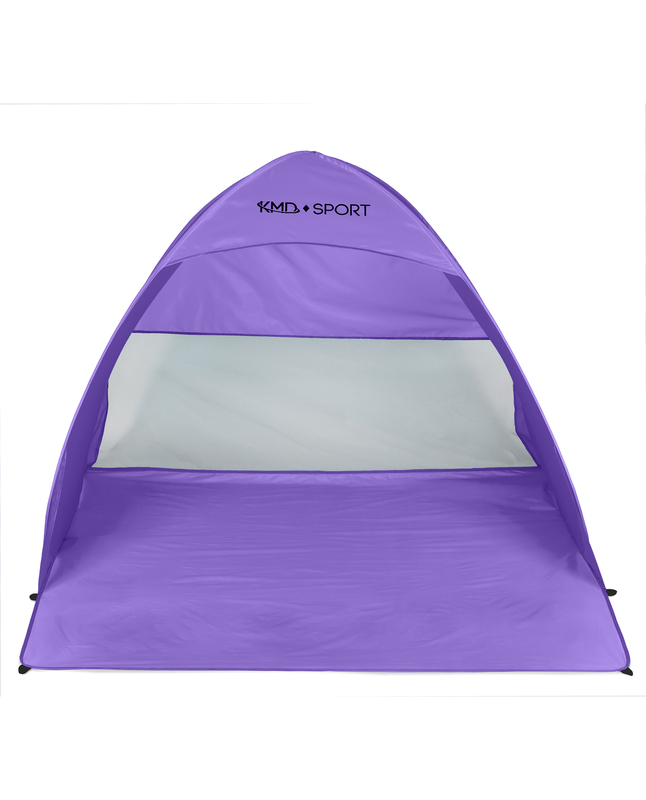 Your KMD Sport tent provides sheltered space for 2-3 people and is ideal for kids, adults, and families alike. Use your KMD Sport tent to create a private, clean and shady area for you and your friends or family practically anywhere. This cabana is perfect for the local beach, vacations and vacations in exotic locations, the park, home backyard and more! Equipped with a special silver-coated exterior, the material of this tent guarantees protection against the sun’s harmful UV rays. This way you can enjoy the outdoors and beautiful weather without risking sunburn, excessive UV exposure or your health! 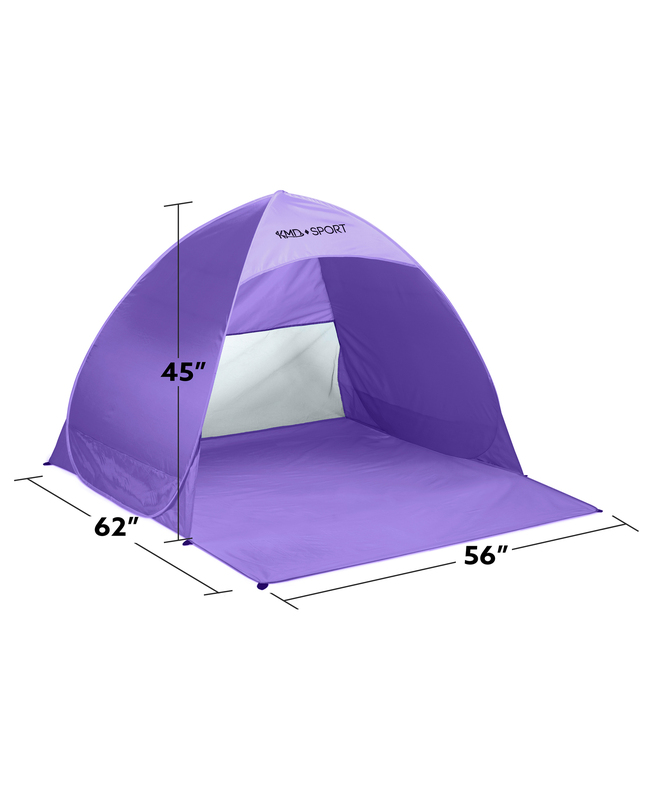 Made from double type B dense interwoven mesh, this tent weighs only a few pounds to make it great for travel. The tent is made to be wind-resistant and maintain a sturdy structure, but it also features enhanced ventilation – an open front and meshed back – to allow you to enjoy the sea breeze. We offer 3 vibrant color options for you to choose from: Blue, Purple and Pink. 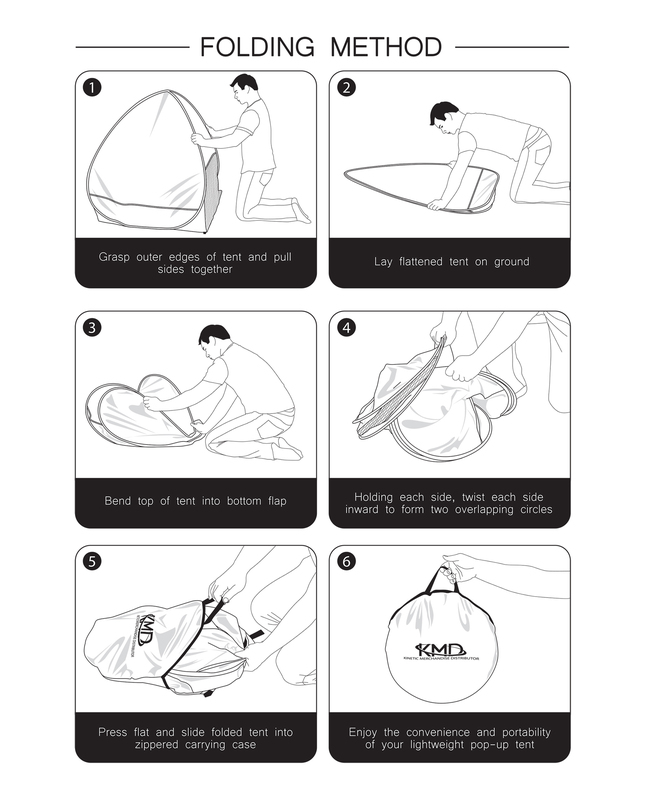 Your tent also includes detailed folding instructions in both printed and PDF format to ensure you’ll never have difficulty packing up the tent. Remember, your purchase is backed by a 100% 30-day money-back guarantee! 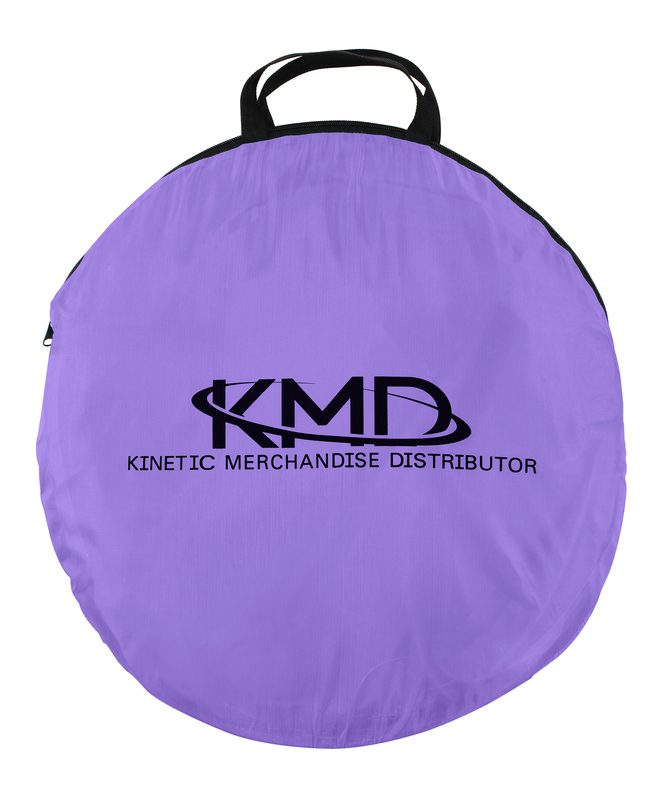 Click “Add to Cart” now to start enjoying your new KMD Sport Beach Tent!